Along the rocky landscape of the California coast, two hours south of San Francisco and just outside of Monterey is the town of Pacific Grove. Here you will discover a wonderland of natural beauty and your favorite bed and breakfast. 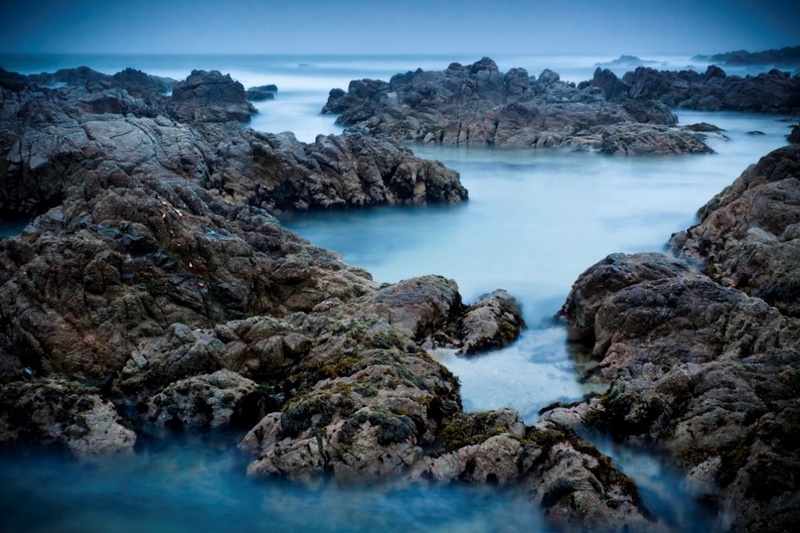 While you are visiting Pacific Grove, check out one or all of these BBOnline favorites. Asilomar State Beach allows visitors a chance to experience one of the most beautiful ecosystems on the California coast! Mysterious rock formations that appear to be sea creatures escaping from the water's mist meet striking sand dunes and bluffs. This is a photographer's paradise! Asilomar State Beach features a quarter mile boardwalk that wanders through the natural preserve as well as a three quarter mile walking trail. The park is open daily from sunrise to sunset. There are no restroom or picnic facilities at Asilomar, but it is a great place to spend a few hours, especially when the tide rolls in. 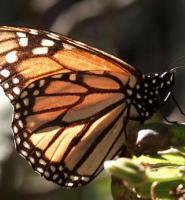 The Pacific Grove Museum of Natural History is home to one of the most impressive Monarch Grove Sanctuaries in the country as the butterflies make Pacific Grove home each year between the months of November and mid February. In addition to the butterfly exhibit and sanctuary, visitors can learn about mammals, birds and native plants as well as view geological exhibits. The Pacific Grove Museum is FREE to the public; however suggested donations ($3 per person or $5 per family) are greatly appreciated. Museum hours are Tuesday through Sunday from 10am to 5pm. Since 1855, the Point Pinos Lighthouse as served as a beacon of light to mariners, guiding them to the coastline. And, the light still shines bright today. Visitors to the lighthouse will be welcomed by a volunteer docent and given a full tour of the grounds, gardens and the light keeper's living quarters. 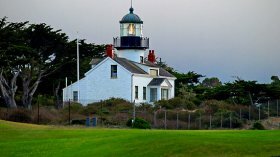 Point Pinos Lighthouse is open to the public Thursday through Monday from 1pm to 4pm. Admission is FREE but a donation of $2 for adults and $1 for children ages 6 to 17 is encouraged. A very short drive from Pacific Grove is the Monterey Bay Aquarium. Actually the aquarium is nestled between the towns of Pacific Grove and Monterey and the drive is well worth it as there is so much to see and do at the Monterey Bay Aquarium! From sea otters to jelly fish to seahorses and penguins...the list goes on. Spend the day touring the exhibits, catch a show and participate in one of the activities. The Monterey Bay Aquarium is open every day of the year except Christmas Day. There are seasonal hours: Summer hours 9:30am to 6pm and winter 10am to 5pm. Admission: adults $34.95; children ages 3 to 12 $21.95; seniors $31.95.